Looking for a quick electronics challenge for the New Year? We love this Wire and Loop game by Christopher Barnatt. “What I thought I’d do is take that game and add some computing power in the form of a Raspberry Pi,” says Christopher. The Wire and Loop structure is connected to the GPIO pins on a Raspberry Pi board. An LED is placed in a breadboard and a simple button is held in some Blu-Tack. It’s a simple build. But it uses a more interesting take on the usual button and LED circuit. “What I’ve got here is three GPIO pins in use,” explains Christopher. One GPIO pin is being used an output to run the LED, then other pins is being used as the contact for the wire and the third for the button. 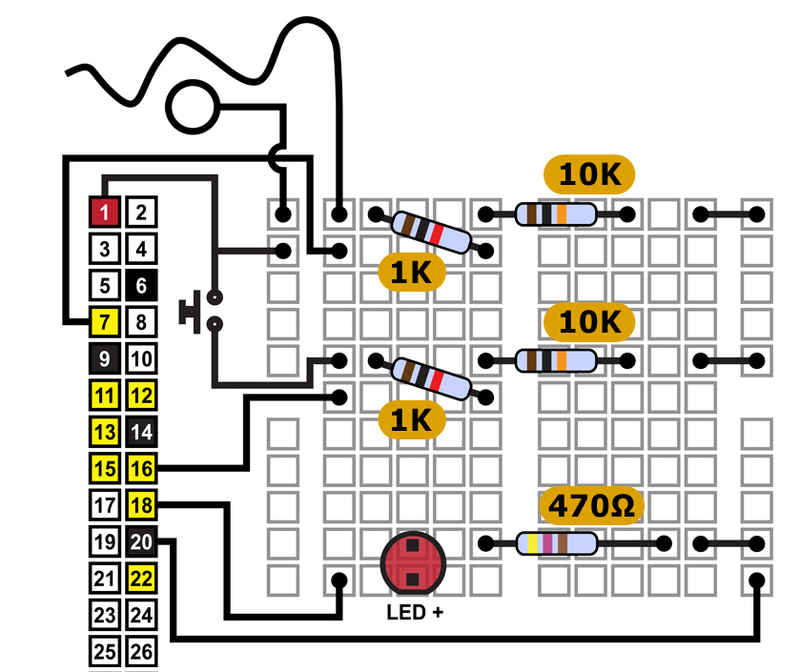 Christopher has placed this circuit diagram online. He has then created three separate Python programs to go with the build. Basic. This program uses the button to start and stop the game. Score. This counts how long you have managed to play the game. Advanced. This Python code rates your score. We think the Wire and Loop game is a neat project to build. It’s fun to put together and explains the concepts of circuits and connections. It also uses Python to effectively learn how to respond to different inputs and outputs. Christopher Barnatt is a professional futurist and videographer, and for 24 years has lectured in computing and future studies in Nottingham University Business School. He runs a website called Explaining Computers.